If you have been paying attention to any and all travel websites, you know that Fixer Upper Fever has put my good ol' college town of Waco on the map as a travel destination. And while The Magnolia Silos has provided enough attraction for tourists, the opening of Magnolia Table, the new café opened up by Chip and Jo. 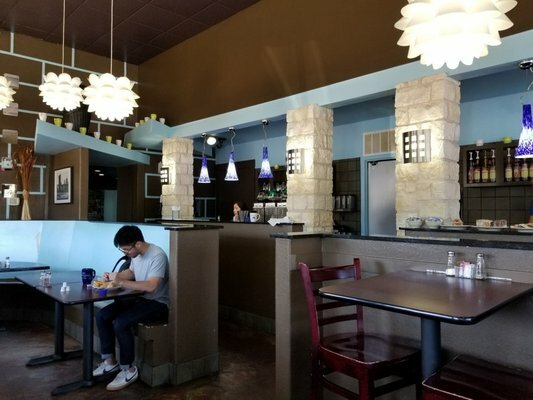 The Magnolia Table provides its customers with an aesthetically pleasing and delicious culinary experience...when you're not waiting in a line of people for two hours. So how do you beat the rush and get the best experience? While going on a weekend is more convenient in terms of your time, it's certainly not in terms of being seated at Magnolia. Weekends are the busiest times and guarantee that you will stuck in a line behind tourists. If possible, go during a weekday, preferably Monday - Thursday, to avoid the crowds. With this tip as well, make sure that you go on a nice day. All of the waiting space is outdoor, and while you can't always control the weather (especially in Texas), try and make sure you go on a day where torrential downpour isn't on the menu. Make sure you google the best times to go to Magnolia Table. This way you can see what there busiest hours are and plan accordingly. My suggestion is, is to do what we did and go at about 7 a.m. Yeah, it's super early, but honestly worth it. They usually give you the option to sit either at the bar space, a community-style table, or a private table. I personally suggest that you get a private table, especially if this is gonna be your first time going to Magnolia Table. Yes, Magnolia Table is cute AF, and of course, you gotta snap a couple of pics while you're there, but remember to put your phone down and really enjoy the atmosphere. I mean, the space calls for you to have some amazing bonding time over some delicious food. Also, Magnolia Table provides you with these pretty nifty leather pouches that hang on the wall behind your table, so that you can place your phones within them and detach from tech for a little while. Honestly, I treat eating out at nicer places as a treat for myself. Magnolia Table, though amazing is kind of one of those places where I would go like once-a-month as a treat for myself. So in keeping that in mind, I totally suggest that you go all out when getting food there. Plus, Magnolia Table is not terribly expensive at all! And the portion sizes are pretty perfect and filling. So make sure you treat yourself! Magnolia Table, despite its talent for attracting even more tourist to Waco, is honestly #WorthIt. So if you ever do find yourself visiting my college town of Waco, you should stop by.